With tender sadness we respectfully announce the passing of Clayton F. Wilkinson, D.D.S., beloved husband, father, grandfather, brother, and friend. He passed away peacefully at home on April 23, 2015, comforted constantly by his loving wife of nearly 30 years, Roene (Ro). Clayton was born February 17, 1921, in Hurricane, Utah, the sixth of eight children of Harold Herbert and Luella Naomi Fawcett Wilkinson. 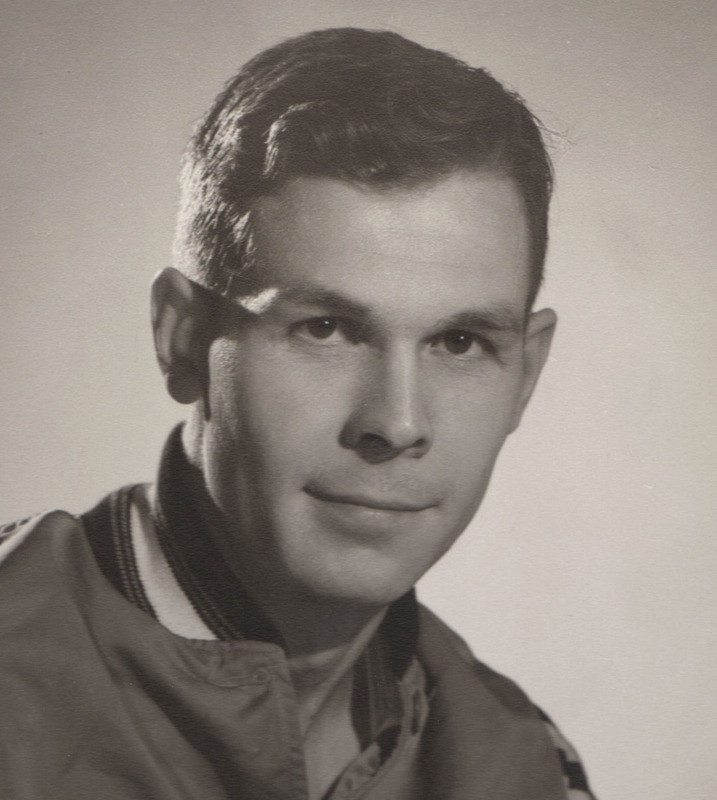 He graduated from East High School in 1940, served a Northern States LDS Mission in 1942, married Mabel Jean Hanks Wilkinson in 1944 (later divorced), and then graduated from the University of Iowa School of Dentistry in 1950. Ironically, Clayton was given the nickname “Tiny” due to his 6’4″ athletic frame. While attending the university on a basketball scholarship, the Iowa Hawkeyes were the first team to win the Big Ten Championship and were ranked number one in the nation in 1944-45. Clayton led the team in overall scoring and, along with his brother, Herb, earned All Big Ten Conference Honors. Numerous newspaper articles acclaimed his talent on the basketball court as a “tower of strength” and “superior in achieving every victory” for the Hawkeyes. 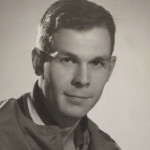 In 1959, Clayton was inducted into the Utah State Athletic Sports Association’s Hall of Fame for basketball. 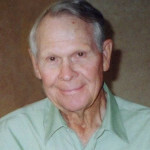 His LDS church service included participating in and coaching ward basketball and volleyball teams, often winning first place honors and earning Clayton the Most Valuable Player Award. After successfully practicing dentistry for 42 years, Clayton retired in 1992. A few years before in 1985, he married Roene (Ro) Barnson Mortensen and soon after they moved to St. George, Utah where they have happily enjoyed the sun and many golf games with dear friends. Clayton is survived by his wife, Roene (Ro), and her three children: Dan Mortensen, Susan Christensen (Brent), Marc Mortensen (Jill), plus five grandchildren and two great grandchildren. Also survived by Clayton’s four children: Clayton Wilkinson (Sheralyn), Ann Coulam (Mike), Richard Wilkinson (Deana) and Thomas Wilkinson (Maureen), plus 14 grandchildren and 16 great grandchildren. He is also survived by his brother Herbert Wilkinson (Dorothy), sister-in-law Lurreen Wilkinson (Huck), sister-in-law Lorraine Wilkinson (Homer). Preceded in death by his parents and siblings, Oral Joseph (O.J. ), Harold (Huck), Nelma, Finley, Luella, and Homer and granddaughter, Lindsay. The family would like to give their deep gratitude and thanks to Coral Desert, IHC Hospital, Zions Way Hospice, and Dr. Andrus and his staff for their care of Clayton. In lieu of flowers, the family asks that you donate to a charity of your choice. Funeral services for will be held Saturday, May 2, at 11 a.m. in the Westridge LDS Chapel, 415 N. Westridge Drive, St. George. Viewings will be Friday, May 1, from 6-8 p.m. in the Spilsbury Mortuary, 110 S. Bluff St., St. George, Saturday from 9:30-10:30 a.m., prior to services in the chapel, and on Sunday, May 3, from 6-8 p.m. in the Larkin Mortuary, 1950 East 10600 South, Sandy. A graveside service will be Monday, May 4, at 11 a.m. in the Salt Lake City Cemetery, Salt Lake City. 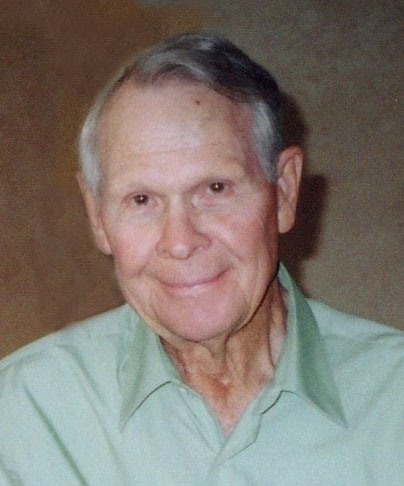 Arrangements have been made under the direction of Spilsbury Mortuary, St. George, 435-673-2454. Family and friends are invited to sign his online guestbook at the Spilsbury Mortuary website.